Lesley Guy: Describe your practice: how do the different strands come together? Louise Marchal: I am a painter, but I've extended my practice into other media (film, three dimensional structures, tapestry etc) which amplify the themes in my paintings. For many years I worked on philosophical themes surrounding time and space, order and chaos, chance and free will. Time and movement were a crucial element, so I began to explore more temporal media such as film. During my research on Frances Darlington these themes became more localised to specific people and places. Whatever media I use, the production relies on the same creative decisions as in painting. 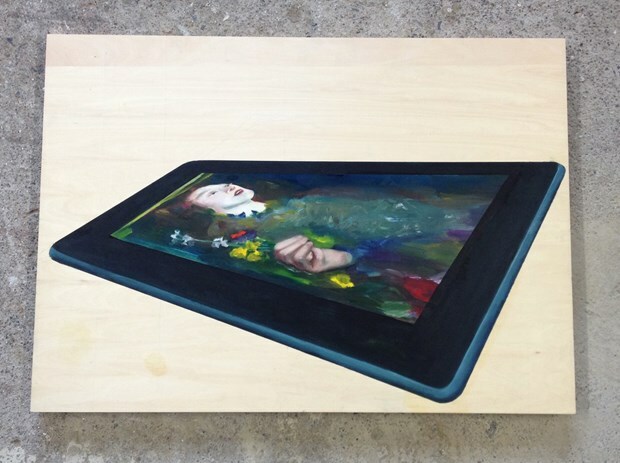 Sometimes the process becomes reflexive, so the non-painted works inform the paintings. LG: The Finding Frances project is really fascinating. How did it come about? LM: The first sculpture that I ever saw was a statuette of St. Francis of Assisi on my mother's dressing table, made by my grandmother's aunt, Frances Darlington (1880-1940). Growing up I was massively influenced by her, even producing a relief sculpture in her style for my art A-level! In 1989, prompted by her absence from The Last Romantics exhibition at the Barbican, I started a slow and intermittent research. 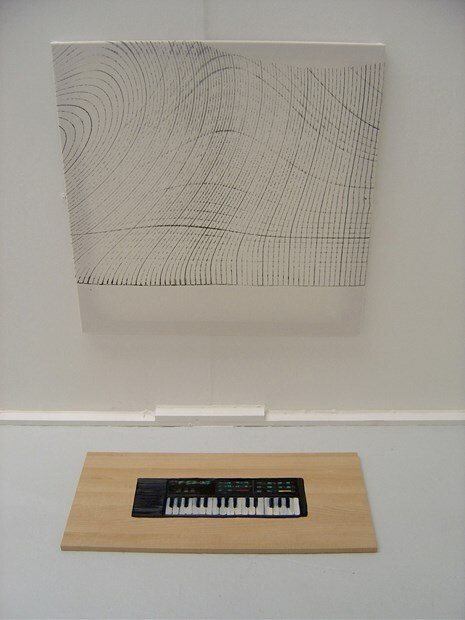 The catalyst for the book came when I collaborated with Matthew Withey, a researcher from the Henry Moore Institute in Leeds, and Karen Southworth, then curator at the Mercer Art Gallery in Harrogate, on an exhibition of her work in 2003. Louise Marchal, Finding Frances - the biography of Frances Darlington (Sculptor), 2013. I gradually pieced together her history and by 2011 I began to feel I had sufficient material for a book. I decided to self-publish, on the advice of the author Jenny Uglow, and despite it being expensive this has given me full control over the design and layout. I started The Marble Press to publish it, but hope to collaborate with other authors and artists in the future. LG: Tell us about the piece ‘I Stole the Kings Road’. How was it made? LM: I was unable to get to London to do any field research about the area where Frances lived, so made a virtual trip down the King’s Road via Google Street View. The claustrophobic computer screen atmosphere drove me to put together a virtual moving “King’s Road” incorporating its enormous cultural history from Dante Gabriel Rossetti up to Punk Rock. 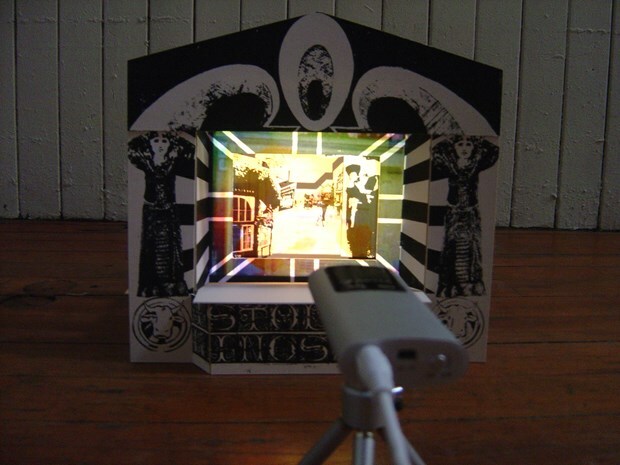 The piece comprises two elements, both forms of collage: a postcard-sized sequence of images is projected onto a screen-printed “theatre” assemblage. The screen-print designs were built up through drawing and collage of significant fragments of the King’s Road history. Frames for the film were formulated from various images from the internet. I edited each frame individually using Photoshop, cropping and intensifying the colour and building up layers of transparencies. The film starts at The World's End public house and ends at the Duke of York's Square. Slotted in between the images are significant figures in the cultural history of the area. I still await a response from Google! LG: You are based in Thirsk, North Yorkshire. What is it like working as an artist there? Have you ever been tempted to move to London like your great-great-aunt? LM: Working as a certain type of artist in any small town can be very isolating. Thirsk places me between the north-east and West Yorkshire, where a lot of great contemporary art happens, and where I’ve made a few friends and have shown work. After I left Glasgow University I lived in London for five years. Initially I worked in publishing and then had two children, so it was difficult to connect as an artist. However, it was a very stimulating place to be and I made important developments in my painting at that time. 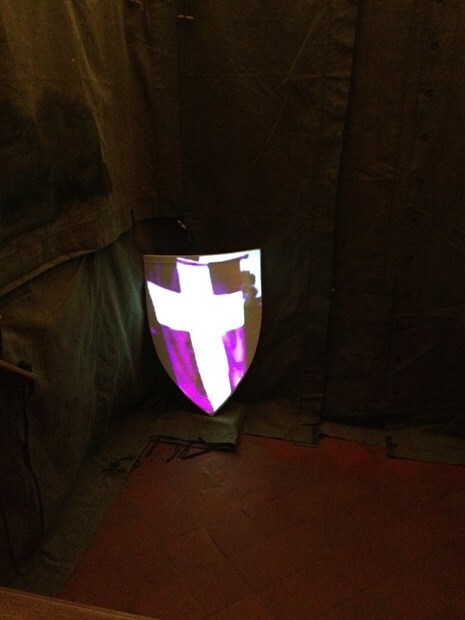 LM: I have received Arts Council funding for an installation, Noble Bloods, which is at Ripon Prison and Police Museum until 30 November. Frances Darlington, First World War memorial to boys from St. George's Police Orphanage in Harrogate, unveiled in 1918. Photo credit: Louise Marchal. The project is a direct response to a specific piece of Frances Darlington's work, and it fuses the two areas of my practice: that of researcher/author with researcher/artist. I used the research I had done on the memorial for my book, but was now responding to the sculpture as an artist. Frances Darlington's First World War memorial to boys from St. George's Police Orphanage in Harrogate is included in the installation.